I return to my semi-chronological exploration of the lives of my maternal great-grandparents, Franz Georg Leopold Lessiack (Leo) and Margaret Spielmann Lessiack, who courted in romantic rowboats, and who were married in 1919. As I’ve noted before, 1921 was a good year for babies in the family. Both Margaret and her younger sister, Hilda Spielmann Morgan, became mothers that year. My beloved grandfather, Robert Lessiack, was born April 29, 1921, much to the delight of his proud parents. “1921” on the back. 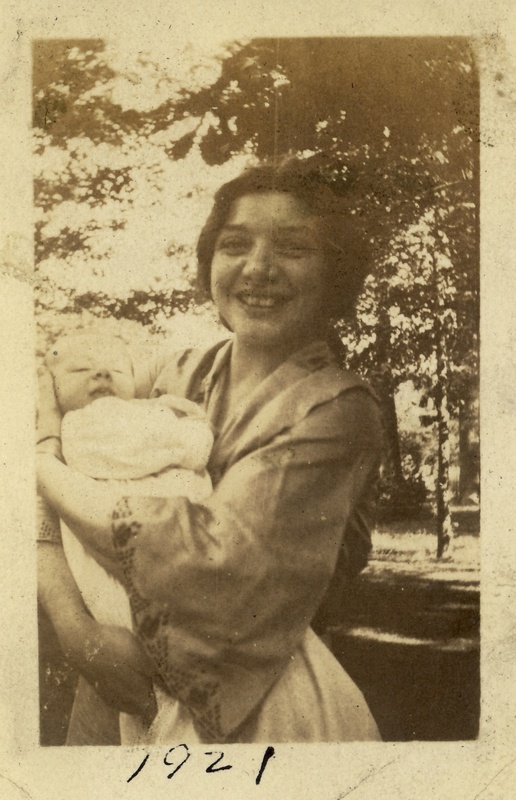 My great-grandmother, Margaret Spielmann Lessiack holds my infant grandfather, Robert Lessiack. Based on the collar of Margaret’s dress, as well as the date written on the front of the photograph, I think this picture might have been taken the same day. Whatever the case, Margaret sure looks happy. Here is Leo holding his new son. Knowing how much he loved children, I can only imagine that he must have been giddy with joy at having one of his own. The two men enjoyed a close and loving relationship until Leo’s death in 1976. 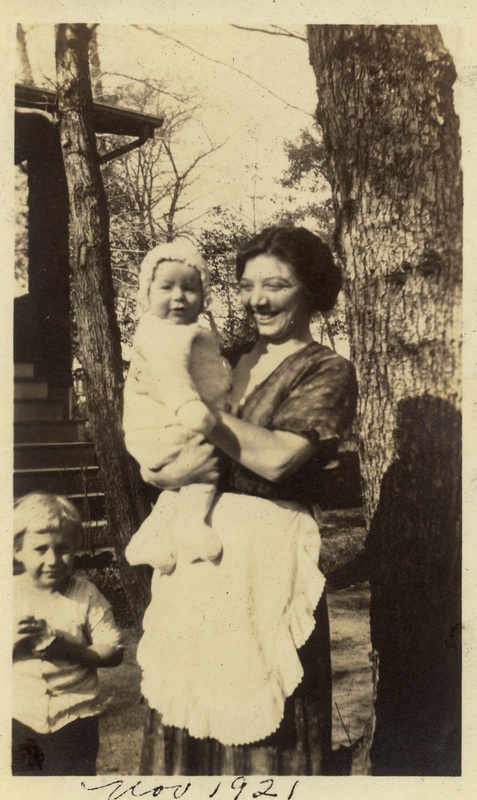 Here is my great-great grandmother Fanny Spielmann holding the baby. Based on the leafy setting consistent with the other photographs, I think she’s holding my grandpa Bob, but it’s possible that it’s Hilda’s son, who was born the same year. 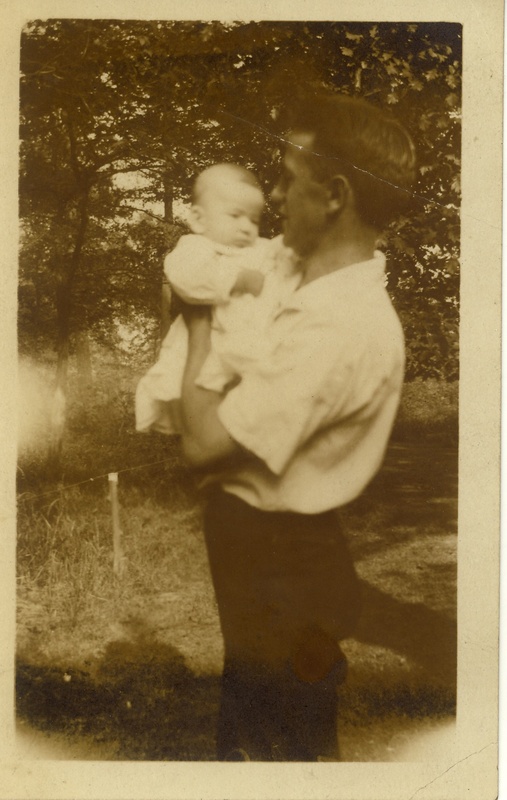 The photo is dated July, 1921 in Margaret’s hand, which means that my grandpa Bob is about three months old. 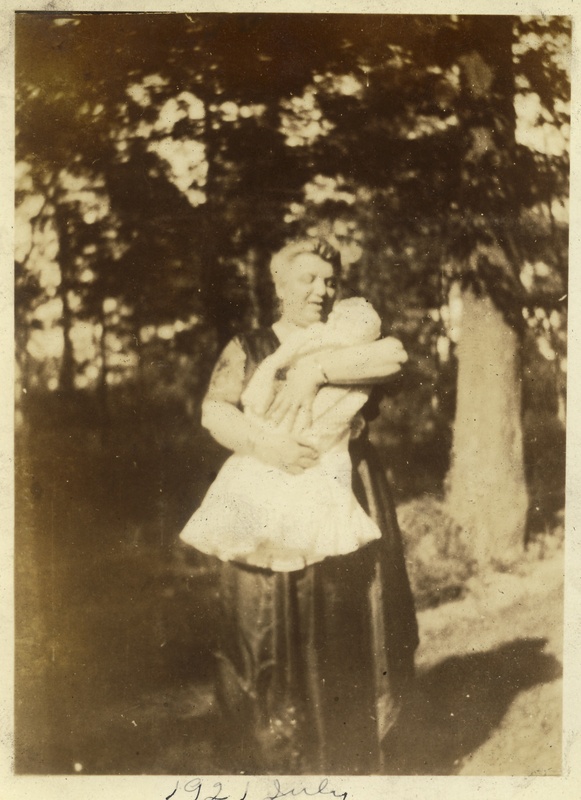 Fanny Spielmann, holding Robert Lessiack (I assume). Here’s a photo from later in the year, when baby Bob is six months old. I’m guessing that the child on the left is Leo’s nephew, Leopold Keil. I sure do love Margaret’s lacy white apron. “Robert Lessiack, 6 months old. Weight 16 3/4. 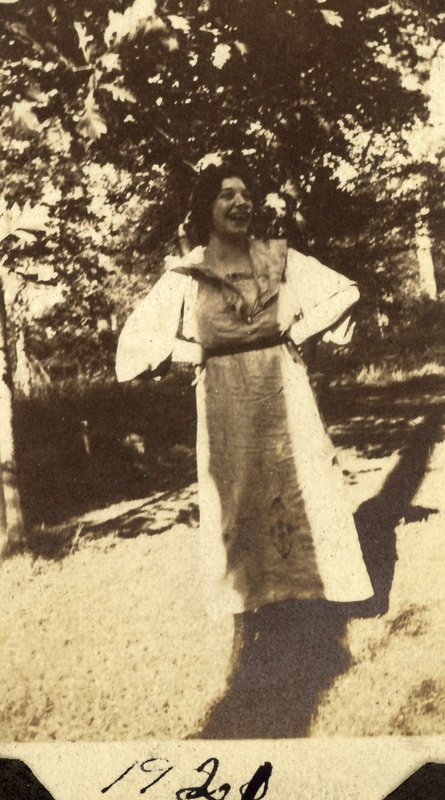 Nov. 1921” on the back of the photograph. 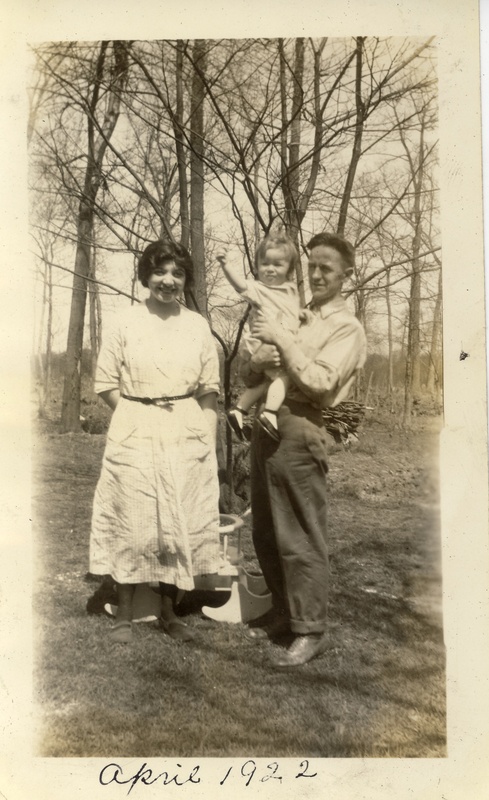 Here is the happy little family in April of 1922. It’s clear that he couldn’t bear to leave Margaret and Bob behind for long, because pretty soon the whole family began to travel extensively, compliments of Hamburg-Amerika. But first, Bob grew up a little bit. 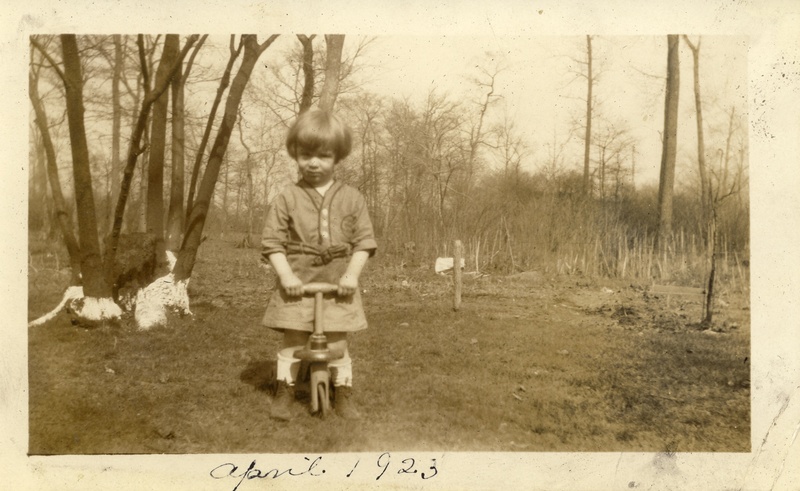 Here he is in 1923, as a two-year-old. Is he not absolutely adorable? I so love his little Christopher Robin haircut (though, of course, Winnie the Pooh wasn’t published until a few years later). 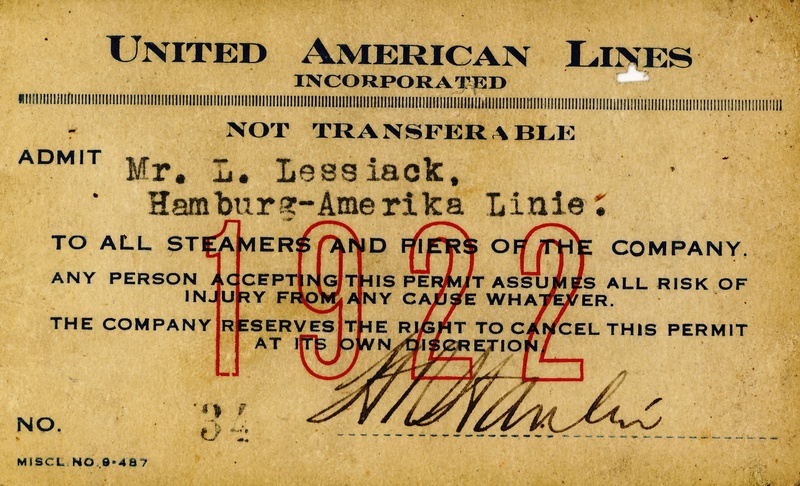 I regret to say that July of 1923 brought horrible tragedy to the Lessiack and Keil families. Those events will be the subject of my next post, which I admit that I’ve avoided tackling until now because it’s just so sad. I prefer dwelling on the happiness surrounding this beloved baby boy a great deal more than on what’s to come. Hang in there with me, People. They are. He was a very cute baby. Ah, You’ve got me worried now but what a blessing to have these precious, joyful pictures! 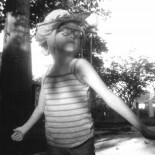 What wonderful photos! And what fun that they were able to travel together as a family. This entry was posted on December 8, 2015 by Pancho in Keil People, Lessiack People, Spielmann People and tagged Franz Georg Leopold Lessiack, Franziska (Fanny) Spielmann, Leo Lessiack, Margaret Spielmann Lessiack, Robert Lessiack.